When Chinese state TV accidentally revealed much of the "salmon" sashimi eaten in the country was actually rainbow trout, domestic fish farmers faced a crisis of consumer confidence. After fishing for a solution, they came up with an idea: to officially deem the rainbow trout a type of salmon. Over the weekend, China's major rainbow trout producers, with the support of an industry group attached to the agriculture ministry, announced a new standard to allow the fish to bear the "salmon" label. 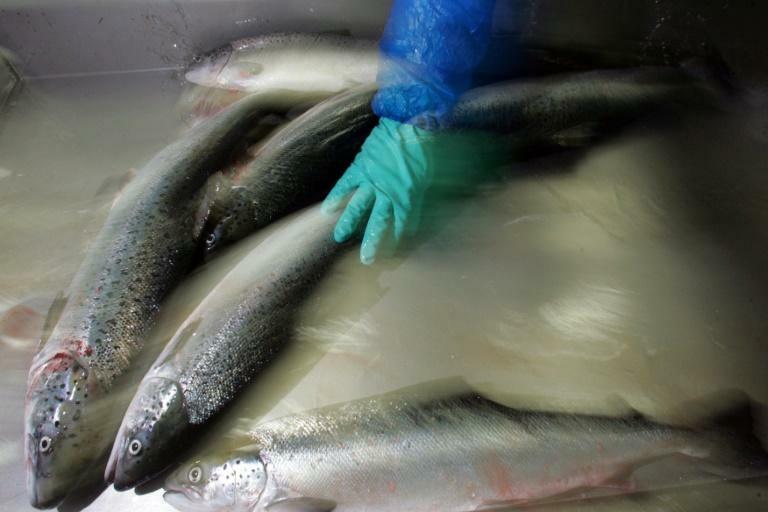 The move solves woes facing domestic producers after a feel-good spot on state broadcaster CCTV earlier this year highlighted China's "freshwater salmon" fish farming on the Tibetan plateau. "You probably didn't know it but our country's Tibetan plateau has long raised this salmon, and not just a few of them, they've captured one-third of the market," the programme's narrator intoned while showing a montage of consumers scooping up salmon fillets in supermarkets. Thousands of sceptical comments piled up on social media, some questioning how the "salmon" could migrate thousands of kilometres over dozens of dams from China's northwest to the ocean, as most salmon do after hatching. Local news website The Paper then sent a reporter, who confirmed China's "freshwater salmon" were in fact rainbow trout. Amid concerns over the safety of eating freshwater fish, Chinese e-commerce sites moved to make fish farmers from the plateau label their fillets as rainbow trout, cratering sales and fuelling an industry crisis. But with the launch of the new standard, China's fish farmers have decided to broaden the definition of "salmon" to include rainbow trout, in the process muddying the waters for consumers. Academics remain adamant the two fish are not the same. "You cannot call a rainbow trout a salmon," said Sigurd Stefansson, a salmon expert at the University of Bergen in Norway, noting they are related but not the same species. The proposal has ignited controversy online, with science writer Fang Shimin comparing it to China's melamine-tainted milk scandal in 2008 that sickened thousands of children. "Back in the day, why didn't Chinese milk producers think to release a standard requiring melamine to be called an ingredient of milk," Fang wrote in a wry social media post. "These salmon sellers are smarter." Guangdong Ocean University professor Zhu Chunhua said the relabelling was appropriate for consumption purposes and it was not a major issue if consumers did not know exactly what they were eating. "Importing huge amounts of Norway's salmon is not practical," he said.